NV Juniors: Taking the College Prep Challenge to get ready for the ACT? If so, see you Tuesday morning at SV for ACT seminar. 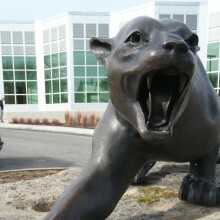 Students will need to arrange for their own transportation to SV Tuesday by 7:30 a.m. If you need transportation back to Northview after the ACT seminar, you can take the transfer bus (#52 or #28) back to Northview at 9:15. Attendance at this seminar is mandatory if you plan to meet the College Prep Challenge. Seniors who will be retaking the ACT are also welcome to join us Tuesday morning. Northview Senior golfer Jack Kunkel signed a scholarship offer with the University of Cincinnati on National Signing Day. Jack’s historic high school golf career includes several NLL Player of the Year Awards, league championships, OHSAA State Championship appearances, and a 2nd Team All-Ohio honor. We are very proud to call you a Wildcat, Jack! Congratulations to Senior Spencer Johnson and Junior Lauren Smith on earning spots on the OMEA state choir! The Northview Baseball Team spent a weekend recently helping instill in young girls life lessons and a belief that they can be leaders in our world through the Girls on the Run program. Our Medical Technologies students are out and about in northwest Ohio, conducting their clinical and shadowing experiences, gaining first hand knowledge of and experience in a wide variety of medical professional fields. The Northview Athletic Boosters held their annual reverse raffle this past weekend, and entertained a sold out house at the Franciscan Center on Lourdes campus. The night, as always, was a lot fun for all in attendance, and will go a long way towards equipping and clothing our Wildcats in the years to come. A big thank you to the planning committee who makes this night a successful one! The fall musical, Cinderella, performed in front of four sold out audiences last weekend, and, as usual, left people wondering whether or not they were witnessing a bunch of high school kids, or a professional show. If you have not seen a Northview musical, you are missing out. Mrs. Rauscher’s Honors English 9 students are studying Shakespeare’s Romeo and Juliet. They are using their Chromebooks to organize their analysis of the characters and plot. Northview and Southview were well represented at the OMEA Regional Orchestra concert. We are very proud of our musicians who put in the time and effort to be able to perform on this level. Mr. Reed’s Engineering Juniors drove to Michigan International Speedway (MIS) a couple weeks ago to launch their rockets to being the Team America Rocketry Challenge. 21 launches, 21 success stories. Way to go Cats! Our AP Environmental Science students traveled to the University of Toledo recently for the annual Student Watershed Watch Summit to present the results of their research conducted in 10 Mile Creek behind Northview. These students had a chance to hear from Jessica Collier from the University of Toledo. She talked to the students about the recent efforts to bring the Lake Sturgeon back to Lake Erie and the Maumee River. These Northview students competed with more than 130 area students, and walked away with several awards, including Most Informative Presentation, Overall Best Display, and Most Creative Display. Way to go Cats! Those same Environmental Science students followed up their learning about Lake Sturgeon with a conversation about the wolf population in Isle Royal, Michigan. Ms. Bogue and her students discussed what has led to the population decrease, the implications, and ongoing discussions among government officials on how to handle it. Our Seniors had a unique opportunity to glance ahead to independent financial living. Parents and volunteers from Champion Credit Union hosted Finances 101 a couple weeks ago, where students were randomly assigned a career and family situation. They then had to make choices relating to housing, transportation, insurance, saving, optional and not-so-optional living expenses. Many students walked away with the realization that “the real world” is more expensive than they previously realized. Thank you to Champion Credit Union and our many, many parent and staff volunteers who made the event possible. Dr. Richard Schnipke and the Bowling Green State University Men’s Chorus will be stopped by Northview on their way to Ann Arbor to perform for the A Cappella Choir. This elite 70 piece men’s ensemble contains four alumni from the NV Choral Department. Northview Senior Erika Chen was honored by the Sylvania Area Family Services for her work in the community with a Ray of Hope Award recently. Erika has spearheaded a peer tutoring program at Northview, and also a mental wellness campaign that stretches back to her freshman year. Northview Freshman Quinn Ingerly connected with our IT guru Darren Estelle recently. They had the opportunity to talk computers, servers, Hapara, hacking, operating systems, and more. Mrs. Mikoljaczyk’s Honors Geometry students are using whiteboards in class to demonstrate for their teacher understanding of key principles. Mr. Word’s Computer Science students are encouraging fighting in school, Well, sort of. Students are busy writing a video game-like program form scratch that will allow a player to fight their way through different levels. 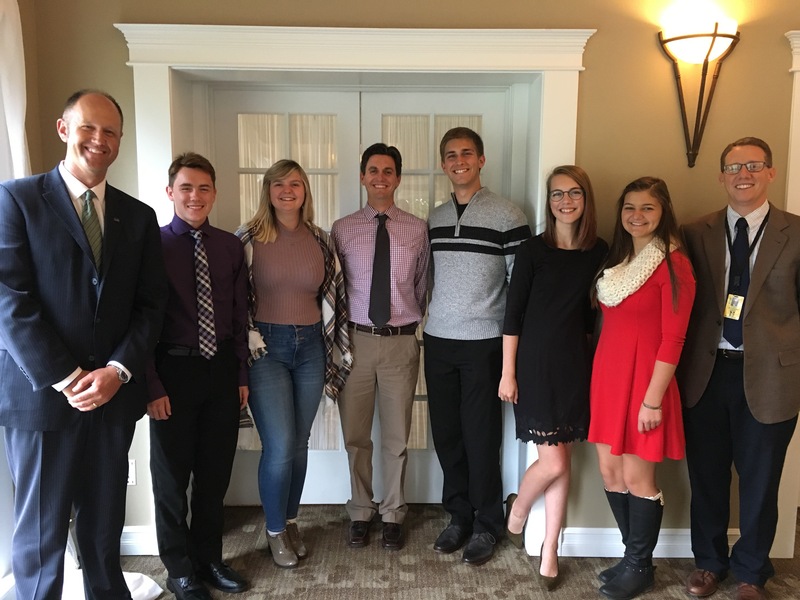 Band leaders from Northview and Southview were honored by the Sylvania Rotary chapter this fall. Our combined 350 band members bring thousands of smiles to our town each fall. These students have done a great job of leading their respective musical groups this year. Teachers spent several afternoons recently learning from each other. Mrs. Rhine, seen below, presented in one of the sessions on brain based research on learning strategies. Congratulations to Senior Paige Beck, who was named Honorable Mention All-Ohio for Volleyball. There is a group of NV staff members who will travel to Michigan next week to see Northview Alumna Katie Cole and the #6 ranked Notre Dame Fighting Irish take on the Wolverines. If you are interested in attending, contact Coach Sayre at psayre@sylvaniaschools.org. Fellow Northview alum John Wendt, Senior Captain of the Air Force Academy’s Soccer Team, is headed for pilot training after graduation. Check out this Toledo Blade profile on John and his journey as an Academy student and collegiate athlete. Finally, 2014 Northview Alumnus Mitch Kahn “dotted the i” on Senior Night at Ohio Stadium last weekend. Mitch’s big day gave us a chance to reconnect with 40+ NV alumni attending Ohio State. It was a great day! The Momentum Award is presented by the State Board of Education and recognizes schools for exceeding expectations in student growth for the year. Schools must earn straight A’s on all Value-Added measures on the report card. In plain language, this means that our kids are showing up ready to learn, working hard, and our teachers are getting the most out of them. Sylvania Northview is one of only 29 high schools (out of roughly 1,250 public high schools) in the state to earn the Momentum Award this year. Way to go Cats! We’re from Northview. Couldn’t be prouder. Retired music teacher and professor Ben Ayling came home again recently, this time to deliver the November Leadership Lunch. Dr. Ayling taught for 20 years at Northview, and then went on to be a professor at Case Western and Ohio Northern University, among other stops. Among the stories he shared with the students was a moment right after 9/11, when his Northview Choir sang at a firehouse in New York City. This firehouse had lost nine firefighters in the 9/11 attack. He described a scene where the firefighters wept as his Northview students sang in honor of their fallen brothers. Ben started his talk by sharing his challenging family background, stressing to students that they should not give up on their dreams. He emphasized the importance of positive thinking, explaining that how we think about things matters. Simply rephrasing “what do I have to do” to “what do I get to do” can have a huge impact on our perspective, and subsequently the outcomes of our experiences. Dr. Ayling encouraged students to take advantage of experiential learning opportunities, and to develop a sense of wanderlust. Sharing his thoughts on success, Ben told the Leadership Academy, Band, Orchestra, and Choir students to stay inquisitive, that he believes his most valuable possession is his education. “We all know what we like, and like what we know,” Dr. Ayling stated, encouraging students to seek to learn about things they do not know. Finally, he told them to look beyond resume building when he stated, “Build your resume on your character, on the quality of the work you do. It is the service you give that matters.” Thank you, Dr. Ayling, for sharing your knowledge, experience, and wisdom with us, and thank you for coming home!